Playing video games on a dull monitor with pixelated graphics is no fun. There is an easy solution to the problem. When you purchase a high-quality monitor, you can enjoy your Xbox One and PS4 games in stunning quality. We took the time to create a list of the Best Monitors for PS4 and Xbox One in 2018. After countless hours of research and testing, we narrowed it down to a shortlist of the top ten monitors for gaming consoles. Frustrated by poor input lag on your television? Read on to find out how a gaming monitor can improve your performance in console games. The VG245H from Asus is the ideal monitor for anyone who wants to competitively game on their Xbox One or PS4. Ever experienced a game where you feel as though your inputs are delayed, or your reflexes are somehow slower? You are probably experiencing input lag, and this display is the answer to your problems. It boasts a 1ms rapid response time, which completely eliminates input delay. The 24-inch model also offers a refresh rate of up to 75Hz. You get two HDMI connections, and the ability to pivot, tilt and swivel the display in any direction you prefer. The VG245H is a very durable display, and it is ideal for young gamers who may be living in a college environment. 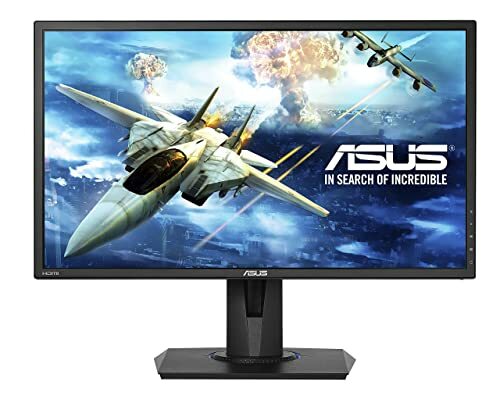 Asus offers GameVisual and GamePlus features on this monitor, which improve color performance. The display’s ergonomic stand even allows you to lift it up to the ideal elevation. 1ms response time is ideal for competitive gaming. 24-inch size is perfect for 1080p gaming and media consumption. Two HDMI ports for connecting two consoles, or another media device. Flicker-free screen with up to 75Hz refresh rate. GameFast technology ensures even a millisecond of lag is absent. Low blue light filter on the monitor removes the danger of eye strain or headaches. Easy to adjust color settings on the monitor to your liking. The speakers are not the best quality. The Acer H277H is a display aficionado’s dream, offering incredible visuals in a 27-inch form factor. 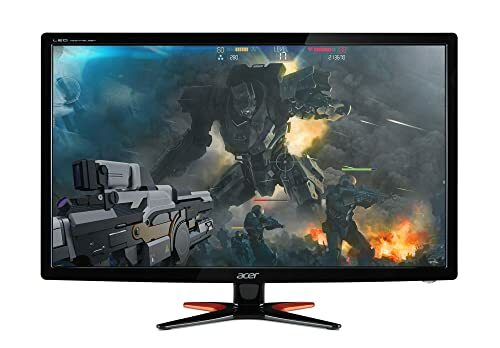 While 27 inches at 1080p is a little too big to use as a PC monitor, it is perfect for console gamers who are connecting their PS4 or Xbox One to the monitor. The 27-inch screen boasts a resolution up to 1920 by 1080p, with the response time sitting at 4ms. Console gamers who may be experiencing input lag on their massive HD or 4K televisions may want to switch to this monitor, as it will ensure inputs are registered instantly. In competitive first person shooters, racing and sports games, input delay can negatively impact gaming performance. The monitor delivers single DVI, VGA and HDMI ports. If you are hoping to connect more than one console to this monitor simultaneously, you may need to purchase a HDMI to DVI cable to use for the second connection. Console gamers will be delighted to learn this monitor boasts internal speakers that offer solid sound and bass. While the speakers do not compare to dedicated computer or music speakers, they are good enough for casual gaming and media consumption. Gorgeous 27-inch display at 1080p delivers stunning visuals for console gaming. The 4ms response time means input delay is a non-issue. Delivers brightness of up to 250 cd/m2. With a -5 to 15 degree tilt, users can set up the monitor to find their ideal viewing angles. The IPS display ensures great viewing angles from the sides, making this a good monitor for playing games or consuming media with multiple people. Only a single HDMI connection. Console gamers desiring elegance and performance will find the AOC i2367Fh a worthy monitor. It boasts a 23-inch frameless LED-lit display with full HD quality. The monitor’s brightness reaches 250 cd/m2, while the response time is at a very impressive 5ms. And with a 50M:1 MEGA dynamic contrast ratio, colors look sharp and vivid while gaming and consuming media. Since it is an IPS panel, the AOC i2367Fh delivers impressive color performance and viewing angles. Everything looks sharp, bright and punchy. When playing games that utilize many cut scenes, the visuals look fantastic. And watching sports or Netflix through your console is also a pleasant experience. The monitor comes with a single VGI, HDMI and two HDCP ports. To connect a PS4 or Xbox One, the HDMI port is the best choice, as it offers video and audio support. The monitor does have built in speakers. While they are not the best quality, they get the job done in a pinch. While the monitor stand offers solid tilting options, users can use a VESA mount for added versatility. The monitor’s refresh rate maxes out at 60Hz, which is ideal for consoles. 23-inch 1080p IPS display offers impressive colors and great viewing angles. 5ms response time means input lag is not an issue while playing competitive games. Energy-Star certified monitor that will consume minimal power. Includes a power saving mode and off timer. Easy to adjust the brightness, contrast and other settings through the monitor’s menu. 23-inches may be a little small when playing games from a distance. Featuring a 24-inch IPS Infinity display, 2.5mm bezels, and a 1080p resolution, the LG 24MP88HV-S is among the best monitors for console gaming. While a 24-inch monitor does not offer the same screen real estate as a massive television, it offers quality and precision for gamers. If you are gaming in your room, a monitor performs much better than a television. The LG 24MP88HV-S has a stunning IPS display that delivers sRGB accuracy of 99 percent. Whether you are playing a console game, or watching Netflix, everything looks incredible on this monitor. It contains a single VGI port and two HDMI ports. It is an affordable gaming monitor that will deliver perfect performance while playing competitively on your Xbox One or PS4. The Infinity displays are known for being virtually borderless, adding to the monitor’s aesthetic and tiny footprint. The monitor’s response time is 5ms, and it delivers a brightness of 250 cd/m2. One of the features that gamers will love the most is the Black Stabilizer. Ever experienced a game where you are in a dark area, but you can barely see anything on the monitor? Those moments can result in you getting shot, as you cannot see your enemies. The LG monitor detects darker scenes in games, and automatically increase the brightness. Now you can spot your enemies in any scenario, improving your gaming performance. IPS display with 1080p resolution delivers color accuracy, brightness and vibrant aesthetics. The 5ms response time eliminates the issue of input lag while playing serious games. 178/178 viewing angles result in images looking great while viewing from either side. Features two HDMI ports for connecting two consoles at once. The monitor is missing built-in speakers. Want to elevate your gaming experience to a new level? Read on to find out how! Monitors play such an important role in how console gaming looks. If you are buying the latest PS4 Pro or Xbox One X, you want a monitor that takes advantage of those incredible graphics. 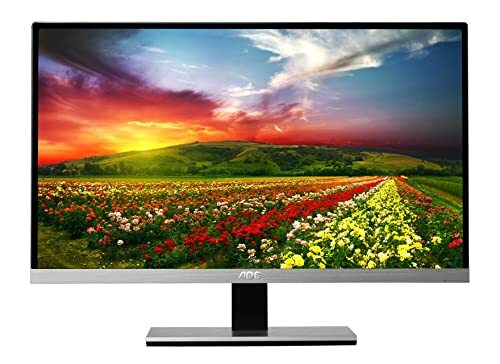 The Acer GN246HL is just that monitor. It delivers a quality 1080p screen with a 144Hz refresh rate. It is a 3D gaming display, which means it can display 3D content from compatible systems. The monitor also delivers a 1ms response time, meaning there is no input lag when using a wired or wireless controller. There is support for VGA, DVI and HDMI connections, with a port each. Console gamers will use the HDMI port to connect their console. Unfortunately, no speakers are present with this monitor. Moving from a big screen TV to a monitor is an adjustment. The screen real estate is much smaller on a 24-inch monitor, but it has its benefits. Input lag is removed, and you get vibrant colors and great refresh rates. Monitors are ideal when console gaming in a room, especially for competitive gamers and streamers. 1080p 24-inch screen is ideal for gaming from a close distance. HDMI port for easily connectivity with Xbox One or PS4 consoles. High refresh rate is useful in certain games. Nvidia 3D is great when connecting devices capable of outputting 3D content. The Acer GN246HL is not IPS, which means it is not as vibrant as those displays. 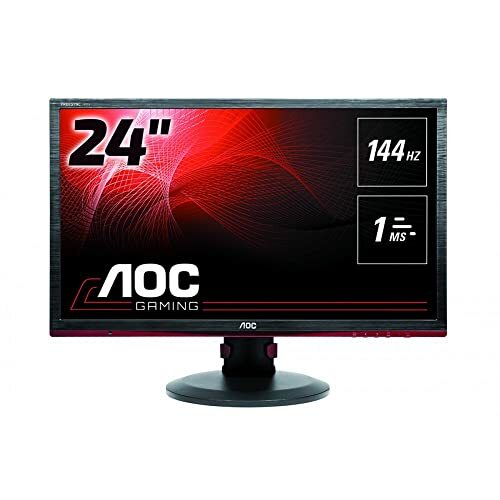 Gamers desiring a fast and affordable monitor will find the AOC G2460PF very appealing. It includes most of the features you would expect in a gaming monitor. Whether you are connecting your PC, Xbox One, PS4 or other gaming console to the monitor, you will get a great experience. The AOC G2460PF boasts a 1080p TN screen that delivers 350 cd/m2 brightness and a dynamic 80m:1 contrast ratio. The response time is at 1ms, meaning there is no input lag while playing games. Those who game competitively or stream on Twitch will be happy with the performance boost from no input lag. With the AOC G2460PF, gamers can access a VGA, DVI and HDMI port. There is also Display Port connectivity. Consoles will connect through the HDMI port, with sound support included. The monitor does come with built-in speakers. They are not the best quality, but they get the job done if you want an easy audio solution. The monitor is wall mountable, and you have many options for adjusting the height and swivel. There is little need to attach a VESA mount to this monitor, unless you want to set up a dual-monitor solution. Gamers who care about frame rates and performance will be happy to know AMD FreeSync is supported. 1080p 24-inch display is the ideal resolution and size for gaming. Very good brightness at 350 cd/m2. Flicker-free technology ensures a comfortable viewing experience. Includes 4 USB-2.0 ports for connecting and charging devices. Refresh rate goes up to 144Hz. TN panel, not IPS. Colors and viewing angles suffer as a result. Speakers are not the best quality. Are you a competitive gamer? Do you stream on Twitch or create YouTube gaming videos? Performance matters so much when you are gaming as a living. Every advantage can add up. The BenQ ZOWIE RL2455T will certainly give you an advantage, even with console games. 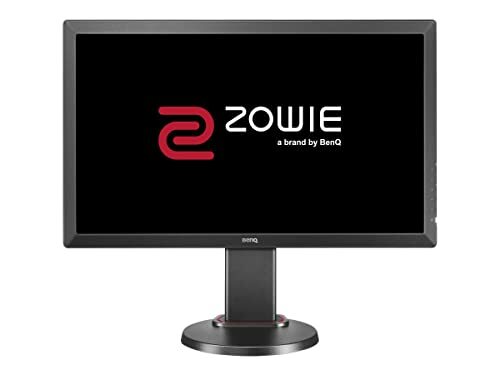 The BenQ ZOWIE RL2455T is a 24-inch 1080p monitor that features 1ms response times. Input lag is such an issue when playing on big televisions, especially with shooter or sports games. But those issues are eliminated with the BenQ ZOWIE RL2455T. The refresh rate does go up to 75Hz, but console gamers will be at 60Hz at the 1080p resolution. The stand on this monitor is one of its best features. It offers height adjustment, tilting and swiveling to find the perfect viewing angle. The screen is designed to limit glare and reflection, while it is VESA mountable. Another great feature on the BenQ ZOWIE RL2455T is the black equalizer, which boosts visibility when you are in a dark environment. Ask any eSports player and they will tell you the monitor quality matters. You are competing against other talented gamers, and you cannot let input lag become an issue. The BenQ ZOWIE RL2455T is perfect for such gamers. 1080p 24-inch display with up to 75Hz refresh rate. Black equalizer setting is incredibly useful when playing games with dark environments. 1ms response time results in a completely lag-free gaming environment. Flicker free screen will not strain your eyes during long gaming sessions. The built-in speakers offer middling sound. Seeking a 1080p gaming monitor that will deliver excellent visuals and no input lag? The BenQ ZOWIE 24 inch is the model for you. The 1ms response time ensures there is no input lag to worry about, which can be a big issue for competitive gamers. The frustration of missing out on a kill or goal because of input lag is so frustrating. 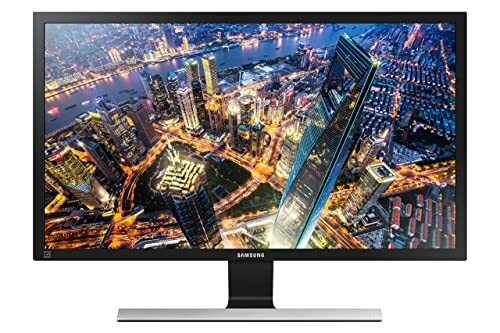 Buying this monitor means those issues are in your past. 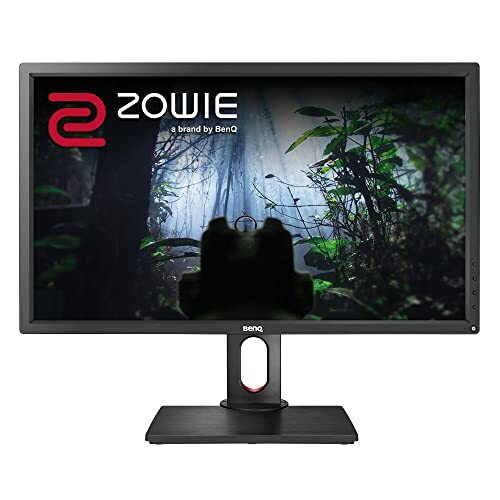 The BenQ ZOWIE 24 inch delivers a perfect 1080p resolution that is compatible with both PS4 and Xbox One consoles. And the company’s notable black equalizer setting ensures that you will feel comfortable in the darkest environments. Some games have dark corners where enemies can hide. With theBenQ ZOWIE 24 inch, no one can hide from you during a game. The monitor offers dual HDMi connectivity, meaning you can set up both your consoles simultaneously. The power consumption is a meager 40W, while the built-in speakers ensure that you can get good sound through the HDMI port. 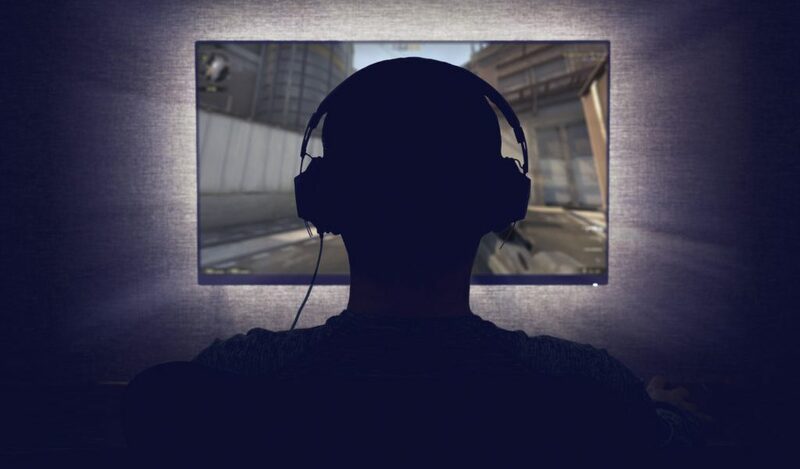 Headphones are connectible with the monitor, but most gamers will probably connect a headset to their controller. 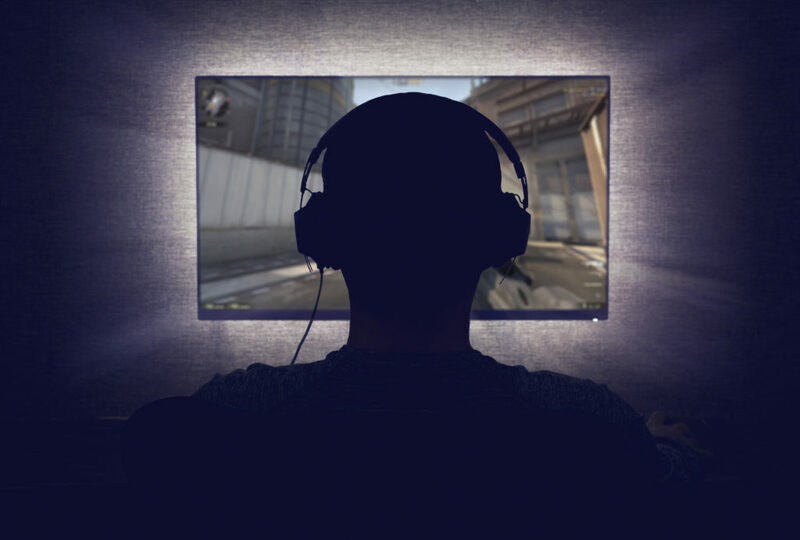 With ZeroFlicker and Low Blue Light, gamers can go through marathon sessions with no eye fatigue. Comfort is so important when playing intense games in eSports or to stream on Twitch. The BenQ ZOWIE 24 inch ensures a very relaxing gaming experience. 1080p 24-inch screen for the ultimate gaming experience. 1ms input lag means your responses are seen instantaneously on the screen. The Black equalizer setting gives you a massive edge over other gamers. Speakers are not the best for listening to music. If you find a 24-inch screen a little too small for gaming, the BenQ ZOWIE 27 inch may be the right product for you. It delivers a quality 1080p display with only 1ms response time. Lag is a major issue for competitive gamers, as the slightest delay can result in a death or missed opportunity. 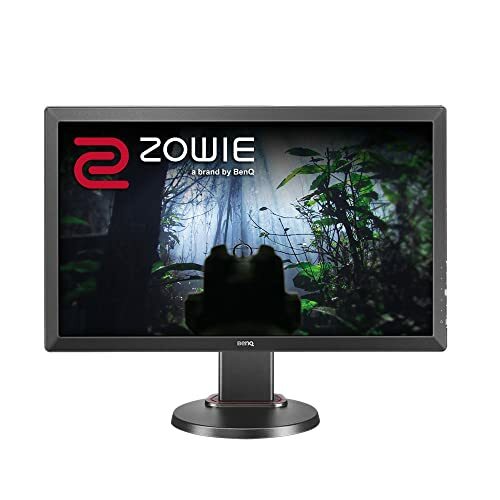 The BenQ ZOWIE 27 inch ensures you have all the tools to game competitively. Playing on a massive 4K television is fun when you have friends over. But those who game competitively or stream on Twitch know that a monitor is much easier to use. The input lag is gone, and you experience less strain on the eyes. The BenQ ZOWIE 27 inch offers a flicker-free experience, with low blue light as the default. One of the revolutionary features of this monitor is the black equalizer. If you have ever played a game with dark environments, you know how useful this can be. The monitor detects scenes that are very dark, and increases the contrast automatically. Now you can see your enemies that hide in dark spots. But you still get the same color accuracy away from those dark environments. The stand features height and swivel adjustment, so you can set up the perfect angle for viewing. A 27-inch 1080p screen gives you more visual real estate for console gaming. The 1ms response time ensures you are able to compete with the best gamers. Flicker-free display results in a comfortable gaming experience during longer sessions. Features two HDMI ports and built-in speakers. Not an IPS display, which means the colors and viewing angles are not as good. Did you recently purchase the PS4 Pro or the Xbox One X? These consoles demand stunning visuals in monitors. Read on to discover how you can play games at 4K! 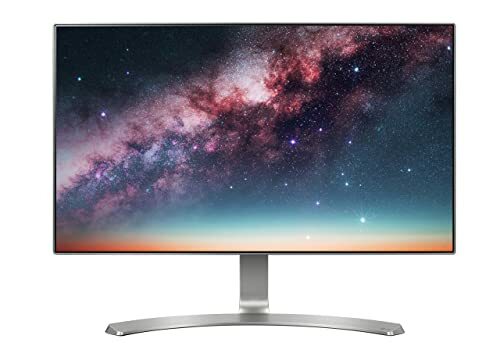 The Samsung Ue590 is the ultimate 4K monitor, delivering a resolution up to 3840x2160p. It still maintains a 60Hz refresh rate, which is ideal for consoles. Games that run at 1080p will look incredible, while the display makes full use of 4K games too! Thanks to the AMD FreeSync technology, this monitor offers a 1ms response time while gaming. And since you have a 28-inch, 4K display, you are not compromising on visuals either. It is easy to think you are missing out by not having a 50-inch 4K TV for gaming. But this monitor is better for competitive gamers. Why? Read on. When you game competitively, you cannot afford input lag. Most 4K TVs look stunning, but your responses are delayed when playing games. It means you could die in a first person shooter game, even though you swear that you pressed a button in time. It was an input lag issue, which disappears when you get the Samsung Ue590. This monitor delivers 64 times more colors than a typical screen. Everything looks better, from games to movies to sports. It features two HDMI ports and a display port for connectivity. At 28-inches and a 2160p resolution, it is the 4K monitor of dreams. 1ms response rate means it is perfect for competitive gamers. Color accuracy and depth deliver a great visual experience. Low blue light emissions, and no flickering limits eye strain. Only useful with the high-end PlayStation and Xbox consoles, as regular PS4 and Xbox One do not support 4K gaming. 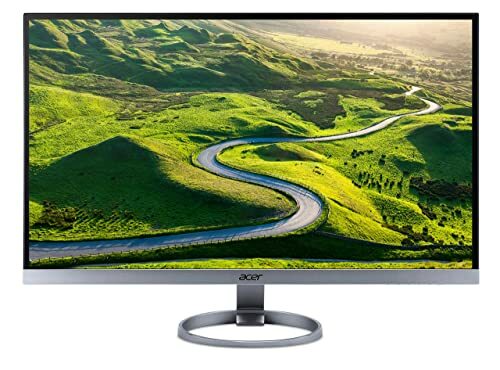 There are countless monitors available through online retailers, and it is challenging to find the one that is best suited for your needs. That is where our list is so useful. Our curated list of the top ten gaming monitors for PS4 and Xbox One will help you narrow down your options. Depending on your budget, and the features you value the most, you can find your ideal gaming monitor. Each of these monitors will give you incredible performance while playing PS4 and Xbox One games. Even if you are using the monitor to watch Netflix or Hulu, you will enjoy stunning graphics. Pick from our list of monitors to elevate your gaming setup.